Aufrunden und Spenden, denk drüber nach. We were in Siem Reap, Cambodia. And we were on our way to open a school. We left Siem Reap early in the morning for the longest drive through construction sites, potholes, twists and turns that kept us all on the edge of our seats. But it wasn’t just the crazy road that had us all alert and excited. We had been looking forward to this day for months now. From the moment that we had agreed to join an NGO called Child’s Dream in building a school for over 350 children. With our school supplies and goodies that we had gathered for the school at the back of our minivan taxi, and our bellies full with delicious Cambodian food, we did not expect to see all of these children, plus their parents, village elders and military personnel waiting for us when we arrived. And yet they were all there, ready to overwhelm us with their love and gratitude. 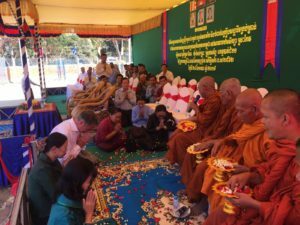 The school had prepared an opening ceremony which was blessed by Buddhist monks to banish away any evil spirits from the area and bring luck and prosperity to each of the staff and pupils that would attend lessons there. 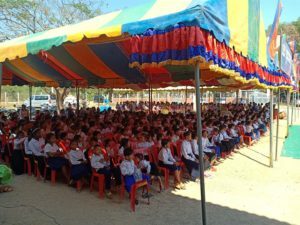 After the ceremony, the Minister of Education for the Battambang Province, a representative from the Child’s Dream organization and one of the donators that is very close to us addressed the audience of aspiring students, their parents and village supporters. We were treated to a traditional Khmer dance that was accompanied by the beautiful singing of a young Cambodian woman whose voice still echoes in our ears today. 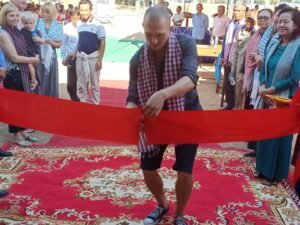 After the dance, and still in a whirlwind of sensory overloading, we cut the ribbon and officially opened the school building to the public. Once the ceremony was over, everything went very fast. Children made their way home, the Buddhist decorations were dismantled, new chairs and tables were put up and food and drinks were brought out for everyone to share around large round tables. There was laughing, dancing, and happiness all round as we imagined the future of the new school together with the community that would use it. 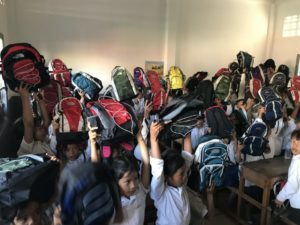 It is difficult to portray how we felt that day, and our highlight of the day was even more fulfilling: We handed over a backpack with school supplies to every single child watching how grateful and enthusiastic they were to learn holding on to the new backpack they have just received. 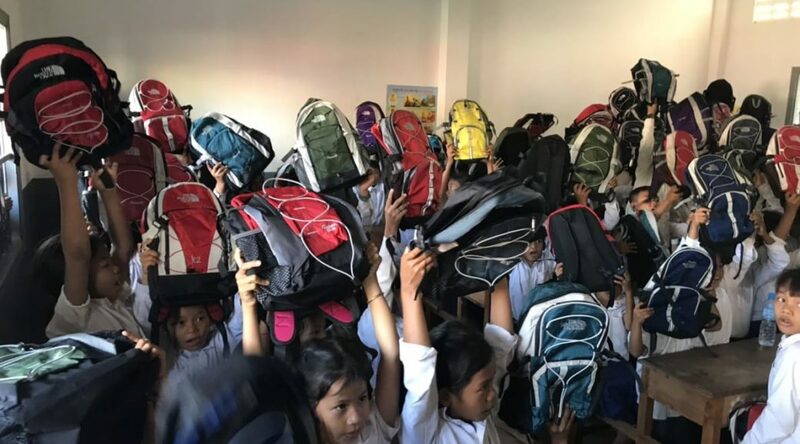 The donation of these backpacks and the stationary supplies was made possible by you and your contribution. The collection of all small amounts that were rounded up for donation through your orders contributed to this gift. We realized once more how much of a difference a small gesture can make. In telling you this, we would like to give you the warmest thanks for all of the help you sent through to us. And so, we want you to know how grateful we are for your support and loyalty to our mission to create sustainable fashion, because with your help, we were able to share the rewards of our hard work with people who deserve it. We are so proud to have such an amazing support base. 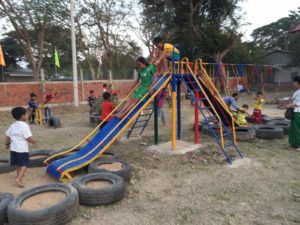 We are also eternally grateful to the Child’s Dream organization for all of their hard work and determination to create empowering spaces for marginalized and disadvantaged communities across Asia. Please go and check out their website to learn more about this organization which has built over 300 schools over the past 15 years. We are still overwhelmed; our hearts are full of joy and pride. And we cannot thank everyone who was involved in this project enough. Together we can make the world a better place, think about it. Child´s DreamOpening ceremonyRound up for donationSchool openingthink about it. 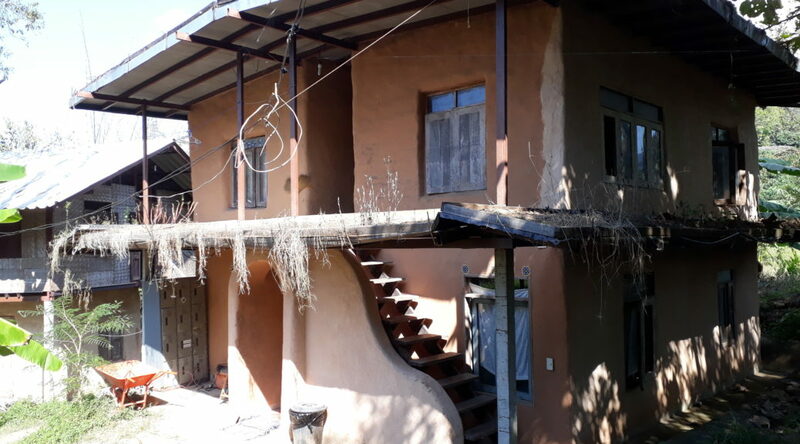 Coming from the southern part of Germany we were taught one thing: “Work hard, work hard, build your own little house.” However, this wisdom seems to be twisted in northern Thailand – or have we misunderstood something? The wisdom in Germany should be terminologically correct: Work hard, work very hard and maybe work even a little bit harder to have enough money to be creditworthy to pay off the loan for the next 30 years that you need for the construction company that will build your dream of your home. What is lost in the process? Time, you – and of course the fun. We were looking for a more pragmatic approach and found what we were looking for. Our trip takes us to Mae Tang near the Mae Ngat Dam, about 2 hours north of Chiang Mai, Thailand. 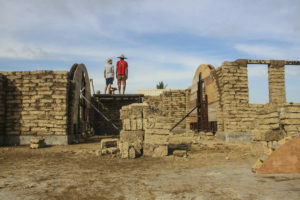 Jon Jandai (Phi Joe) founded the Eco Community Pun Pun about 20 years ago and is the pioneer in clay house construction in Thailand. 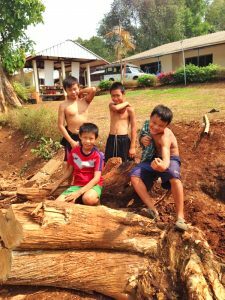 According to Phi (the Thai name for big brother) Joe, building a mud house is the easiest way to build a house, anyone can do it. Adults can do it, children can do it – you can do it! All you need is your body…and if we build a house in less than a year and for less than 10,000 USD, we have saved almost 29 years. How one wants to offset 29 years of life in Dollars is quite a difficult and philosophical question. 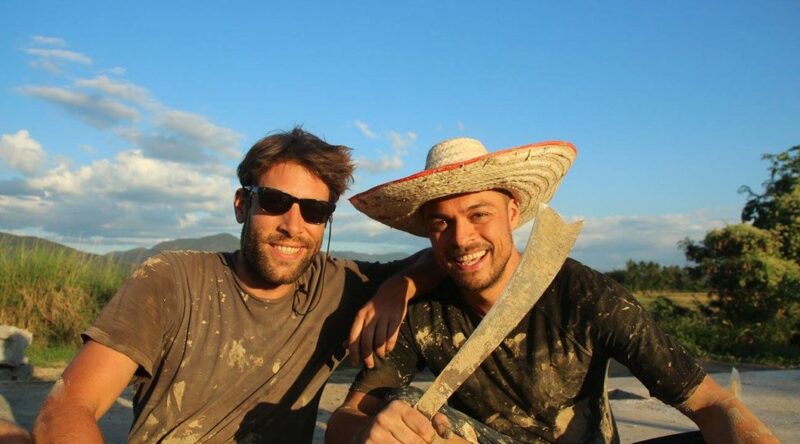 So let´s get started before we lose more time and build a new clay house for Nate and Phi Yao. The place Nate and Phi Yao have chosen for their mud house is picturesque. 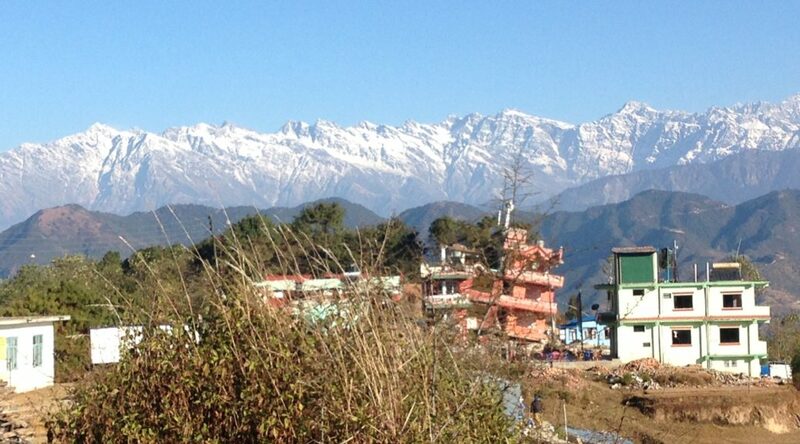 Surrounded by rice fields and the southernmost foothills of the Himalayas, every sunrise and sunset are an experience. The natural swimming lake/water reservoir, which was built last year, create an indescribable ambience. Young and inquisitive people from over 20 countries have come to learn and help them build their new home. 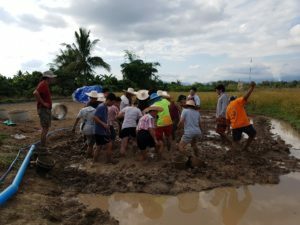 At the beginning we stand in a huge mud hole (former rice field), whose contents are to be transformed into a single-family house. How can you do that? 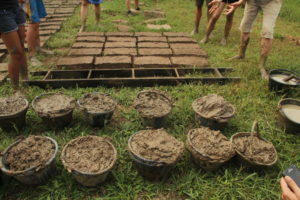 Very simple: mix clay, dried rice husks, sand and water and tread until it becomes soft. The creamy earth mass is then poured into moulds, set up for drying and needs to be observed. If there are large cracks when the bricks are sun-drying, there is too much clay in the material. If they burst into thousands of individual parts during the crushing test on the ground, the proportion of sand must be worked on. Local soil conditions are different all over the world and trial and error is the only way to success. That being said, at the end of our time we made more than 6,000 clay bricks and quickly got a good feeling for the perfect mixture. Then, brick by brick, the walls are gradually build. A mortar made of clay, sand and a rice husk mix is used as a binding agent. 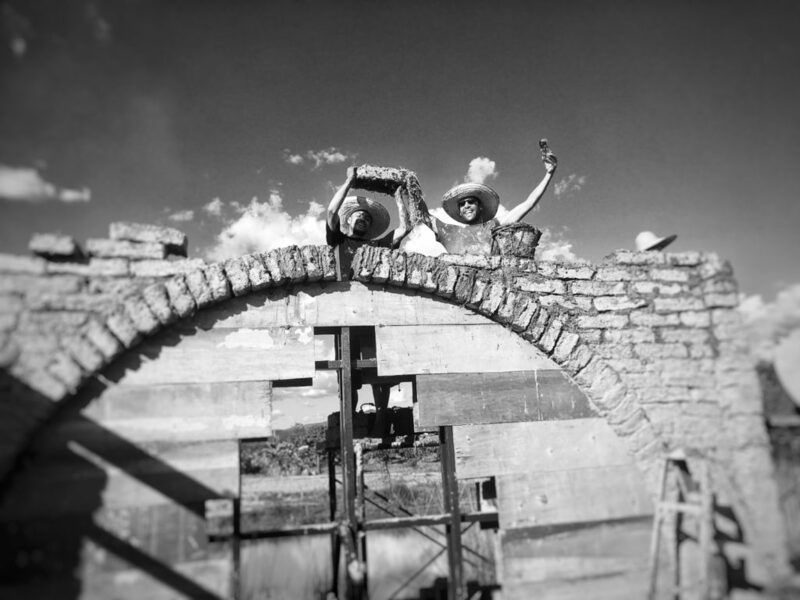 The 5-meter-wide and 3-meter-high arches were also very interesting to build. First a wooden construction was made, which holds the clay bricks until they support and strengthen themselves by their own weight. A string and a nail for centering the arc and a few stones for adjusting the angle of the clay bricks are enough to build such a masterpiece. Of course, we are particularly proud of the last stone. After almost two weeks, we managed to finish half of the house and learned how to mix plaster and clay paint from the above components. For practical reasons, not all elements of the house were built from natural and local materials. 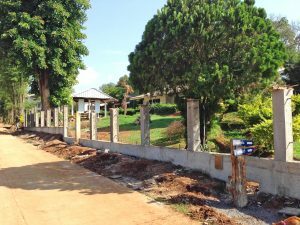 Experience has shown that termites in Thailand make it impossible to lay a loamy soil and foundation, or a durable roof construction made of wood. That is why we have used concrete for the foundation and metal for the roof construction. We at virblatt are thrilled to have learned this old way of building houses. It was an indescribable event to stand in our self-built natural walls, which continuously absorb and release water (humidity) and heat to have a pleasant room climate all year round. 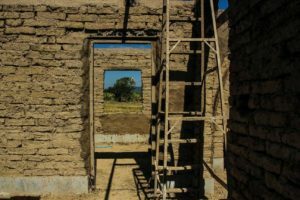 We are impressed by the possibility that everyone can build their own four walls from natural resources. And we are grateful to have met all the loving and interesting people during this workshop. It is indescribable what a close relationship you build with people and materials in a short time when you work together on such a valuable project: We built a house! We are often asked why some of our products are sold out. From the customer’s point of view, this may seem somewhat peculiar in a market economy. But there is a specific and important reason for this. We work with small family businesses that lovingly make our alternative clothing at home or in a small community building. 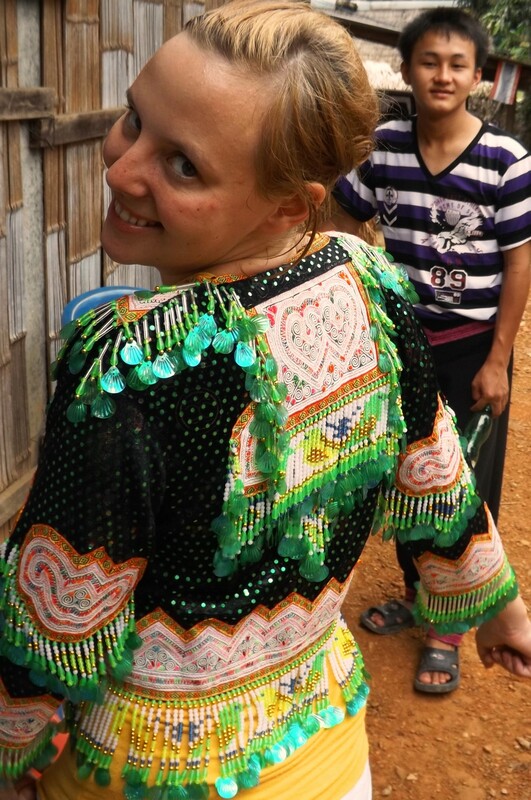 Some of our producers also belong to ethnic minorities of the Hmong, Lizu, Karen and Naga, who weave or embroider decorative elements in particular. These detailed processes take time. Errors can happen everywhere, but stress and time pressure in particular contribute to them. Now you ask yourself, why not employ more people when the demand is there? Admittedly, we have often asked ourselves the same question. But there are two convincing reasons for this. On the one hand, people who are capable of this special craftsmanship are not to be found everywhere. On the other hand, we are in a seasonal business. Especially in summer we need more production capacities than in winter. If we employ more people in the summer, we cannot guarantee their jobs during winter. This would leave families with problems and challenges and employees could not rely on us. This is exactly what we avoid. 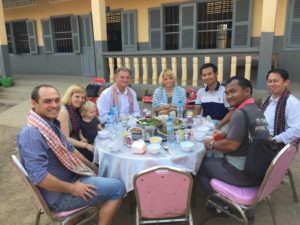 Our company currently consists of only eight employees, but we are not only responsible for these eight people and their families. No, also our suppliers, their employees, their families, even people who produce the fabrics depend to some extent on us. We also see our suppliers and their employees as our employees and virblatt family members for whom we are committed. That is why we focus on sustainable growth and identify ourselves with the Slow Fashion philosophy. Products manufactured with love, which give our customers pleasure for a long time. Instead of putting pressure on our friends and suppliers, we have decided to give you, our customers and friends, more insights into our production. In the future you will find a label on each of our products that will tell you more about the wonderful people who made the product. This will be rounded of by interviews and videos. You may be curious. In addition, we are now increasingly posting when products that are often in demand are available again. 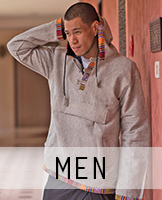 This way you as our companions are always up to date and can get a specific garment you wished for. We are by no means perfect and do not know whether this is the right way. But we owe it to ourselves, our families, like-minded people and in principle all people who live together with us on this wonderful earth, to give everything and every day to make our business more sustainable. Do you want to know who is in our hammock? Get inspired by Elena and Matteo, who share their thoughts about a fascinating alternative lifestyle. Dive deeper into the diverse cultures of Southeast Asian hill tribes, discover the best places in and around Chiang Mai and meet the beautiful traveling soul Mali Pah. We are in 2017 AD, the whole world is occupied by capitalists … The whole world? No! 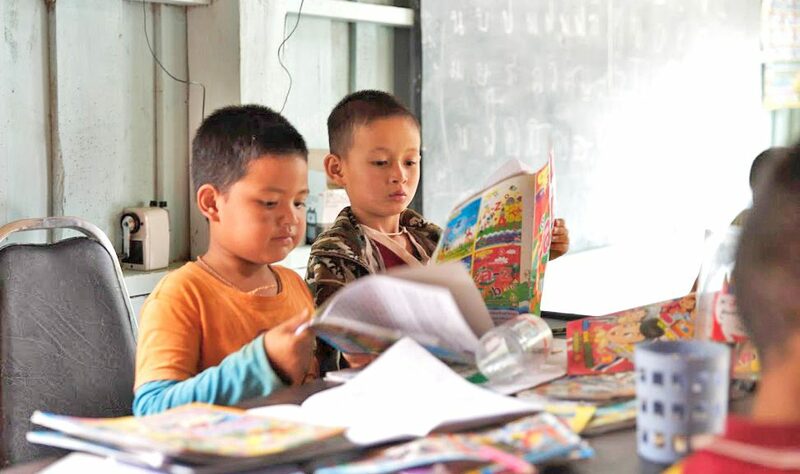 A village in the North of Thailand inhabited by invincible people does not cease to resist the invader. This is where our next journey takes us. It is not about capitalism, but about something much more fundamental. Colorless, odorless, tasteless and without any nutritional value; yet essential to life – clean drinking water. It all happens in the PunPun Center for Self Reliance. 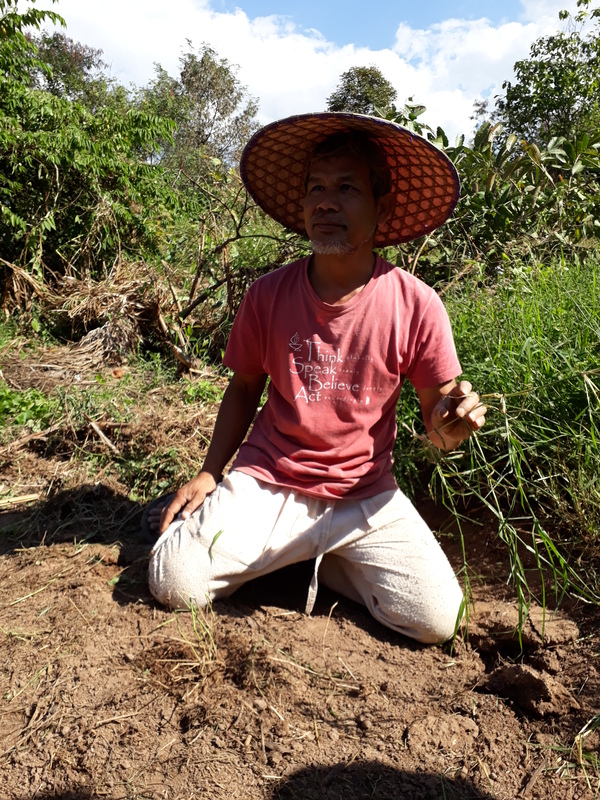 An organic farm in Mae Tang for the preservation of local seed, sustainable life and learning. In principle, the founders resort to a more independent lifestyle by producing organic food themselves, building their own natural homes from clay and experimenting with all kinds of low-tech resources. In doing so, the principles of today’s experts/know-it-all are fundamentally contradicted. It is not about knowledge but about experimenting with knowledge and opening new doors. Errors are not errors in the actual sense, but simply additional learning opportunities. Experts and students learn together on a level playing field; everyone learns from the other. Joint experimentation and joint learning through direct practical applications are the focus here. The aim of our trip is a workshop for the construction of a water filter system based on biochar. Up to 300 L (with a small system) or up to 2000 L (with a large system) of clean drinking water can be produced per day. The filter system was developed in cooperation with Aqueous Solutions and all building instructions are accessible to everyone. (http://www.aqsolutions.org/?page_id=927). Just keep in mind that: the broth from a Thai pond which stands all day in the blazing sun or the polluted water from rivers, which is as a result of so-called SOC (Synthetic Organic Compounds such as Agrochemicals, pharmaceutical residues or contamination from fossil fuels) can be converted into drinking water by an inexpensive water filter for under $ 100. We are thrilled! 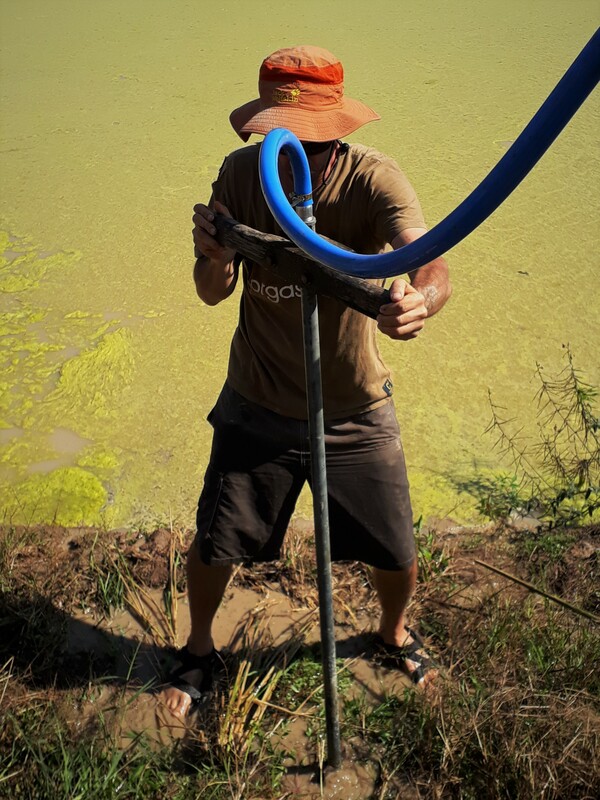 In order to get water for our experimental set-up, we had to drill a 9-meter deep well by hand due to lack of rivers nearby. The equipment included only a small diesel generator, a tripod, a garden hose and our workforce. The next day we started the construction of the filter system. It consisted of 4 tanks filled with different materials for filtering the water. The first is filled with gravel for filtering out coarse impurities. The sand in the second filter removes finer impurities. 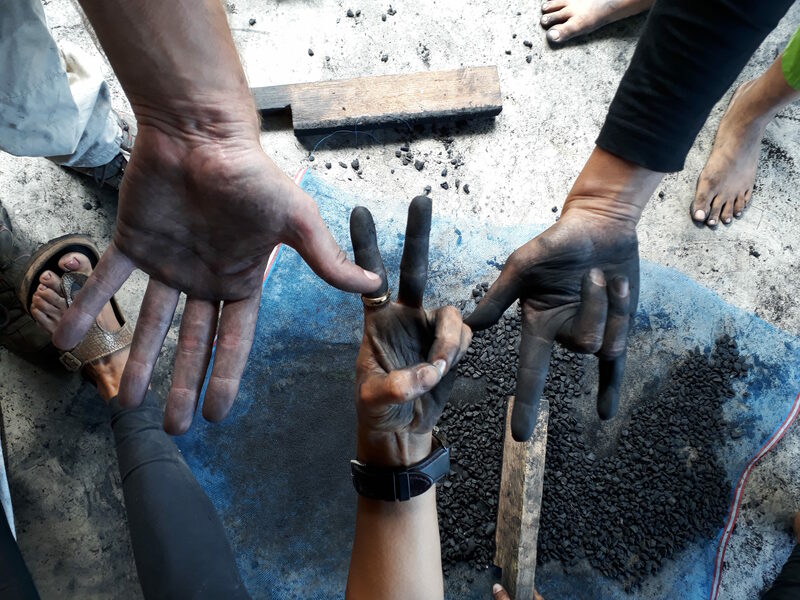 Upon using the water filter, a so-called biofilm or dirt layer forms on the sand layer and filters out the first biological substances and serves as a pre-filter for the biochar. In the third tank there is the biochar and the fourth tank is designed as a reservoir for the drinking water. We produced the biochar at night. Technically speaking, biochar is produced by pyrolysis (gasification at approx. 900 ° C) of crushed cellulosic material such as wood, bamboo or maize. It is an incomplete combustion with hardly any CO2 produced. The result is biochar. The heat causes tars and resins from the surface of the material to dissolve and then evaporate. This has two advantages: on the one hand, biological contamination is absorbed in the resulting compartment. 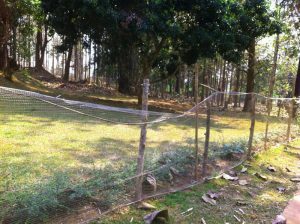 On the other hand, the total surface area of ​​the material is increased to 400 m² per gram of biochar (thus 8 million m² or 800 hectares for 20 kg). 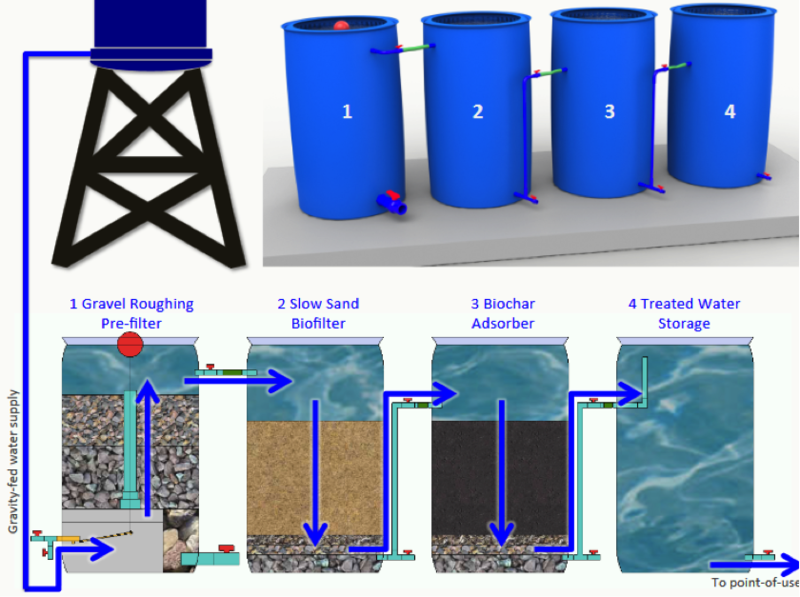 As a result, the water filters can be operated at full performance for 2-3 years without having to change the biochar. Apart from the ingenious water filter system, PunPun was a unique experience. We cannot describe the atmosphere in words. Everyone should experience it themselves! Environmental engineer Nate Reents is one of the developers of the biochar based water filters and he was the one who guided us throughout the two weeks showing his passion and sharing his knowledge for low-tech water technologies. He has accomplished many projects in Latin America and Myanmar, where the filters are needed the most. 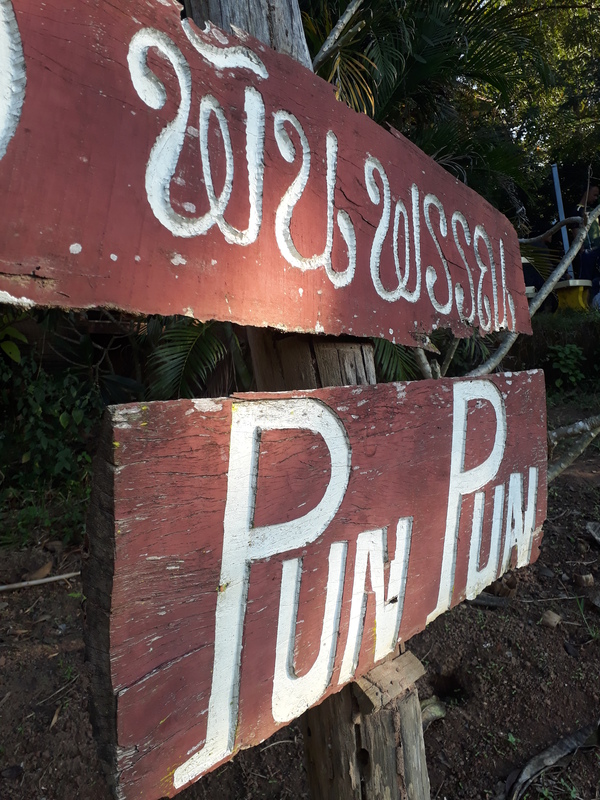 The Pun Pun projects do not just aim at integrating the systems at the Thai Myanmar border but also to teach them how to build them themselves – creating low cost systems based on local materials. Together with you, we want to support this project. 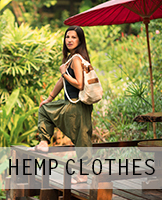 You can round up for donation in our online Shop for harem pants and alternative clothes. virblatt – think about it. This is the story of virblatt. The story of what became our business. The story of our life and what it became the past couple of years…. As many others, we wanted to see the world, so we figured Asia would be a good start. 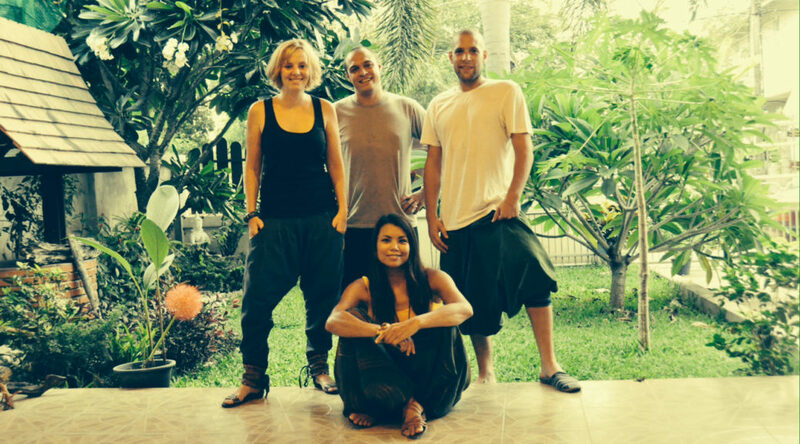 As four young travelers, we did what many other travelers do: We booked a flight to Bangkok – the gateway to Asia. To make it really exciting for us – and our parents – we didn´t book anything else in advance. And it turned out to be a good idea. When spending days in Bangkok you meet the greatest variety of travelers that you can think of. All of them have their story to tell. And of course, they also share their routes, so you can finally make up your mind where you to spend your holidays. So we ended up passing some nights in busses and night trains (saving time and money for a night in a real bed in a bungalow) to see nice beaches, eat every kind of food the food stalls have to offer, visit national parks, viewpoints, waterfalls, elephants, snake shows, monkey shows, crocodile shows – there are shows for nearly everything… and yes we saw that one as well. Meanwhile we filled up our backpack with cheap clothes that would last until our next journey. And there was one thing no traveler seemed to miss: the most comfortable clothing ever. Drop crotch pants made their way into our lives. Until this point nothing differs from a journey to Thailand that many tourists experience year by year. But we returned home with an idea that would change our lives in the long run. While we were studying and working, we bought some more harem pants with the plan to sell them in the internet. We did everything for the first time: We shipped a box of harem pants to Germany, we imported them, we counted and categorized them, we made photos and created offers for them. We started with less than 100 pants that we bought in a shop in one of the big shopping malls in Bangkok putting them in ebay auctions to see what people would be willing to spend on them. And it worked… we reinvested everything to buy new pants to set up a small Online Shop to create the brand bonzaai. We did this for a very long time, working for fun and not for money. While our brand was growing we were always curious about one thing: Where do our products come from? So travelling soon became a mission. 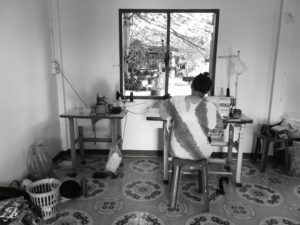 We met the people behind our clothes: We met Thai families that set up tailoring facilities in their backyards and Asian hill tribes in remote areas, that are known for the weavings and embroideries used for their traditional clothing. Meeting the people behind our products also gave us the chance to design and create our own styles combining alternative clothes with traditional elements creating a unique style. We not just expanded our sales of harem pants but also our travel radius. 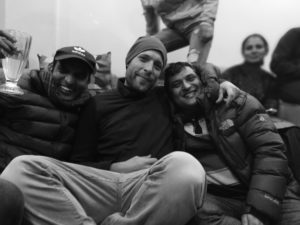 Actually, we only wanted to go trekking in the mountains to get away from the business life we created around us – not to mention that we were still caught up in studying and working to earn our livings (our own business was still exclusively our passion). Nepal seemed like the perfect place to get out of the fast-moving daily business with its great Himalayan mountain ranges. And it turned out to be a perfect place for alternative clothes as well. 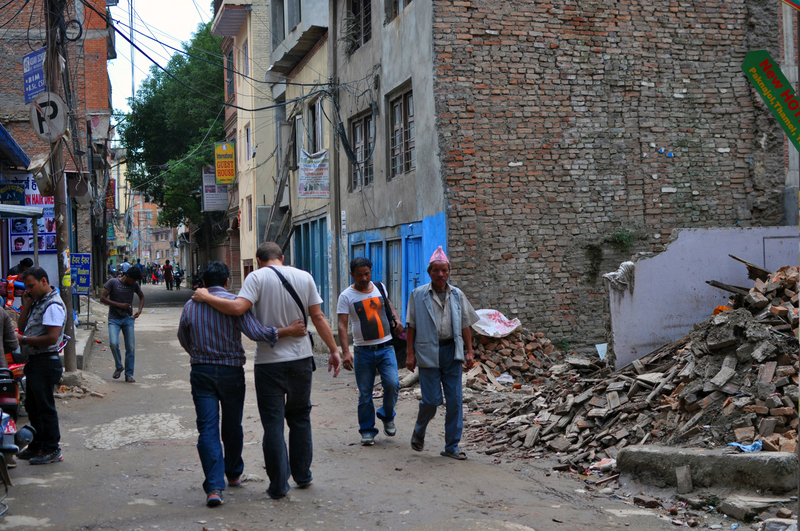 Suddenly we found ourselves in the Nepalese business world: faster, louder and dirtier than in Thailand. 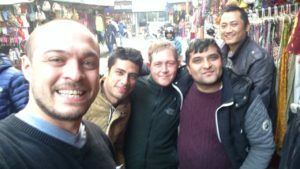 After getting to know the Nepalese tailors – we also wanted to know where the products in the streets of Kathmandu come from – we were offered Nepalese hospitality when we were invited to our new friend’s home for dinner. Since our suppliers became more international, we figured we can do the same. We expanded our sales internationally and created a new brand: virblatt. virblatt is for people like us. People with an alternative lifestyle. People that care where their products come from. Do you want to know where your product comes from? Wir konnten eine wundervolle Woche in Kathmandu, Nepal verbringen und geschäftliches mit Freizeit verbinden. 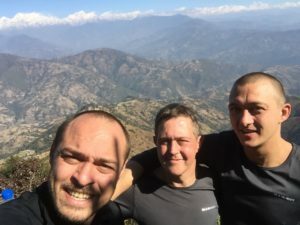 Neben diversen Treffen und Besprechungen mit unseren Partnern vor Ort und der Konzeption neuer alternativer Kleidung, hatten wir die Möglichkeit im Kathmandu Valley wandern zu gehen und von dort eine einzigartige Aussicht auf das Himalaya Gebirge mit den höchsten Bergen der Welt zu genießen. Der Stadtteil Thamel in Kathmandu ist voll von Hippie Kleidung. Es scheint als würden die meisten Mitbewerber von uns ihre Hippie Mode dort direkt von der Stange einkaufen. virblatt hat sich bereits vor zwei Jahren zum Ziel genommen den Großteil der alternativen Kleidung selbst zu designen. Dabei werden Schnittmuster nach unseren Vorstellungen angelegt, Stoffe miteinander kombiniert und kleine besondere Finessen angebracht, die unsere Ethno Mode zu dem machen, was unsere Kunden so an uns wertschätzen. Das Land bietet neben einer beeindruckenden Kultur und spannenden Menschen eine einzigartige Natur und Landschaft, die zum Wandern in den Bergen einlädt. Nachdem wir bereits am Annapurna und Langtang trekken waren, fanden wir heraus, dass man gar nicht so weit reisen muss, um ein spektakuläres Naturschauspiel zu erleben. 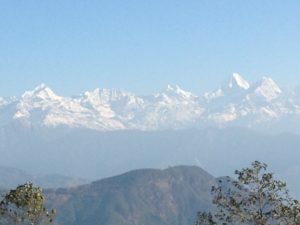 Die Berge rund um das Kathmandu Valley bieten bei klarem Wetter eine überwältigende Aussicht auf das Himalaya Gebirge. Für alle die an so einem Trip interessiert sind, empfehlen wir die Route Chisapani – Nagarkot. 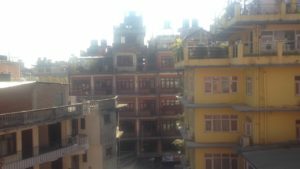 Auch im Dezember, wo es in den Bergen bitter kalt ist und schneit, kann man im Kathmandu Valley hervorragend wandern und bei 20° tagsüber eine frische Luft und Sonnenschein genießen. Es ist immer wieder eine Herausforderung lange Strecken durch die bergigen Landschaften zu meistern, aber letztendlich lohnt sich jede Anstrengung. Nachdem wir vom Trekken wieder in Kathmandu angekommen waren, konnten wir unsere neue Kollektion an Haremshosen begutachten und auf Herz und Niere testen. Anfang März ist diese in unserem Online Shop erhältlich. Seid gespannt! Auch unser Jacken Sortiment konnten wir ausbauen und an der ein oder anderen Stelle verbessern. Ständige Qualitätskontrollen und das Feedback unserer Kunden motivieren uns dazu, unsere Ethno Mode zu perfektionieren. Wir können stolz behaupten, dass 2017 ein wunderbares Jahr wird und das es viele neue interessante Produkte in unserem Online Shop geben wird. Dazu zählt auch die Verwendung von Hanf in unseren Haremshosen. Zudem findet ihr im Frühjahr nicht nur Hanf Rucksäcke, sondern auch Hanf Schuhe und Hanf T-Shirts in unserem Angebot. Robust, geruchsneutral und einzigartig im Design erfüllen uns diese Errungenschaften mit Stolz. Wir freuen uns auf euer Feedback! Gemeinsam Gutes tun. 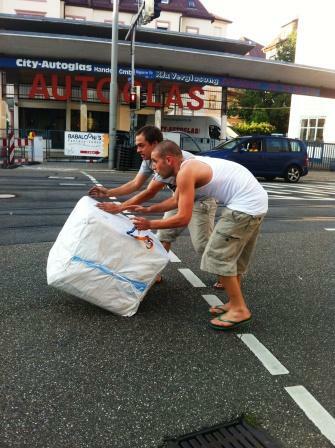 Das ist das Ziel unseres Aufrunden und Spenden Tools auf www.virblatt.de. Wir haben gesammelt und konnten das „Kirsten Jade Rescue Center“ bei dem Bau eines Zauns unterstützen. 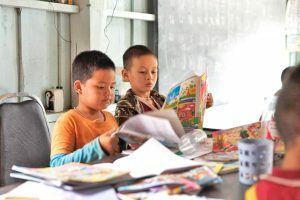 Im „Kirsten Jade Rescue Center” in Chiang Mai, einem Kinderdorf der CFI Internationalen Kinderhilfe, haben ca. 70 Kinder ein Zuhause gefunden. Die Kinder leben mit Hauseltern in verschiedenen Wohnhäusern und haben hier die Möglichkeit die Schule zu besuchen und sich an landwirtschaftlichen Arbeiten zu beteiligen. Um das Kinderdorf von der anliegenden Straße abzugrenzen, haben wir Spenden gesammelt und das Kinderdorf bei der Finanzierung eines neuen Zauns zu unterstützen. Ein neuer Zaun war nicht nur notwendig, sondern auch von Seiten des Staats gefordert. Der Bau des Zauns hat nun begonnen und wir möchten uns bei euch bedanken. Gemeinsam konnten wir einen Teil dazu beitragen, dass die Kinder in dem Kinderdorf besser geschützt werden. Auch einen neuen Wasserfilter konnten wir mit deiner Spende installieren. 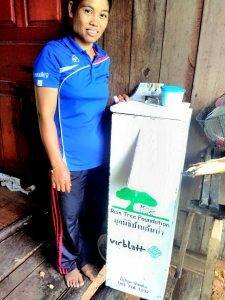 Der CAWST Wasserfilter wurde von der Rain Tree Foundation in dem Bergdorf Ban Mae Sa, in Nordthailand installiert. Mit diesem Wasserfilter können mehrere Familien mit sauberem Trinkwasser versorgt werden. Zudem haben wir für zukünftige Spenden ein neues Projekt ausgewählt. 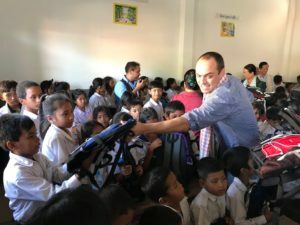 Wir möchten die gemeinnützige Organisation Child´s Dream dabei unterstützen, Schülern und Lehrern im Kayin-Staat in Myanmar Schulbedarf zur Verfügung zu stellen. 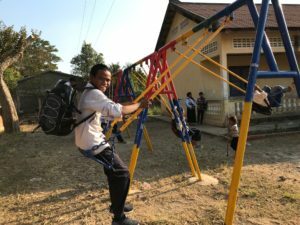 Dabei arbeitet die Organisation zusammen mit der KSEAG (Karen State Education Assistance Group), einer Arbeitsgemeinschaft, die es sich zum Ziel gemacht hat, die Schulen im Kayin-Staat systematisch und gleichermaßen mit Schulbedarf zu unterstützen. 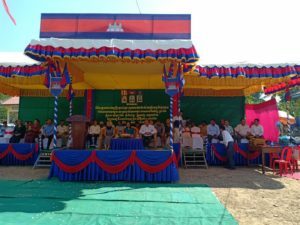 Wir haben diese Organisation mit Sitz in Chiang Mai persönlich kennen gelernt und wissen, dass dieses Projekt stets Unterstützung bedarf. Wir freuen uns, mit deiner Hilfe einen Teil dazu beitragen zu können. Du kannst online bei deinem Einkauf eines unserer aktuellen Projekte auswählen und deinen Gesamtbetrag aufrunden. Wir sammeln die Spenden und leiten sie zu 100 % an die Projekte weiter. Auf unserem Blog und in unserem Online Shop für Ethno Mode informieren wir dich über das, was wir mit deiner Spende erreichen konnten. Eine Zusammenfassung aller unserer vergangenen und aktuellen Projekte findest du in unserem Online Shop für Ethno Kleidung www.virblatt.de. virblatt ist zukünftig auf 6 Sprachen verfügbar. Nachdem immer mehr Nachfrage nicht nur aus Deutschland, sondern auch aus den europäischen Nachbarländern bei uns reinkam, haben wir uns dazu entschlossen mit unserem Online Shop nun mehrsprachig zu werden. bonzaai hat eine neue Marke ins Leben gerufen und möchte mit virblatt noch einen Schritt weiter gehen. 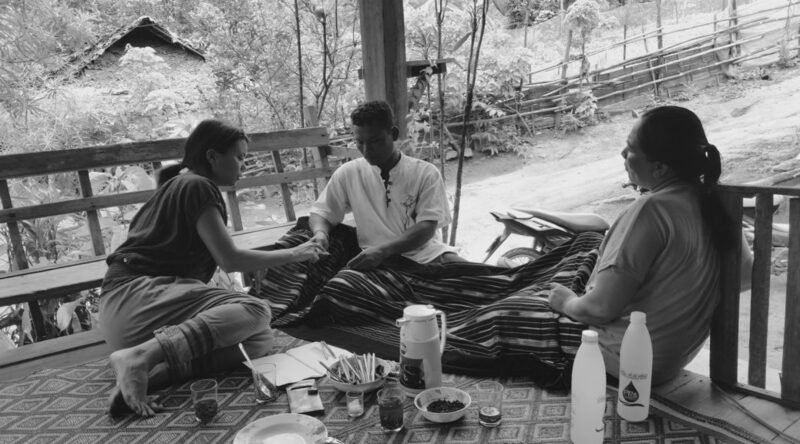 Gefertigt wird die alternative Kleidung in kleinen Familienbetrieben in Nord Thailand und in Nepal. Zukünftig planen wir noch mehr nachhaltige Materialien wie Hanf und Bambus in unserer alternativen Kleidung zu verarbeiten. Einen ersten haben wir bereits in diese Richtung unternommen. Unsere neuen Hanf Taschen und Hanf Rucksäcke sind im Online Shops unter Accessoires erhältlich. Zudem freuen wir uns dir ein paar Eindrücke von unserem Leben in Chiang Mai und unserem Foto Shooting unserer Ethno Kleidung präsentieren zu dürfen. virblatt – Alternative Kleidung from Sabrina Wagner on Vimeo. 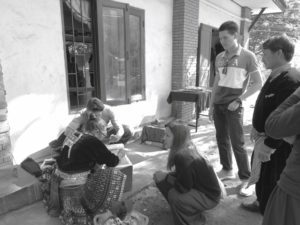 Fertigung, Fotoshooting, Haremshosen Modelle, Nepal, Neue Bestellung von Haremshosen, Rucksack, Taschen von bonzaai, Thailand, Winter 2015, Wir sind bonzaai. Weihnachten steht vor der Tür, wir freuen uns auf die Festlichkeiten mit der Familie, auf gutes Essen und vielleicht sogar winterliche Weihnachtsfeiertage. Und was machen wir? Ein neues Fotoshooting. Wir haben nur ein Problem: In Thailand wird der Winter auch dieses Jahr nicht ankommen. Es ist die schönste Zeit des Jahres, Temperaturen wie in einem perfekten Sommer. Verschiedene Blumen blühen in den buntesten Farben und weit und breit ist einfach keine Wolke am Himmel. Auf der Suche nach schönen Locations finden wir immerhin herbstlichen Laub. Alte und neue Produkte werden in ein herbstliches Licht gerückt. Wir bedanken uns bei unseren schönen Models für den wunderbaren Tag. Auf alle Bilder der neuen Produkte aus Nepal freuen wir uns dann im neuen Jahr. Nach den schweren Erdbeben hat nun das Nachbarland und größter Zulieferer Indien die Zufuhr von Gas und Benzin blockiert, die Straßen nach China sind größtenteils zerstört. Das erschwert die Produktion, aber die stolzen Nepali geben nicht so schnell auf. Schon bald sind unsere neuen Haremshosen und alternativen Kleider lieferbar. Und bis dahin wünschen wir besinnliche Feiertage und einen guten Rutsch in das neue Jahr.